How many does that make now? I give up. If the slaughter of little children at Sandy Hook didn’t affect radical change, why should the deaths of some community college students make any difference? After all, you have rights. We wouldn’t want to violate anyone’s rights. People have sacrificed their lives for those rights. Are these mass murders just more of the same? More sacrificed lives for our individual freedoms? No matter that they are students, not soldiers. No matter that they never signed up for the fight. Is your right to bear arms more precious than a life? Would you not wait a few extra days to buy that next gun if such a wait meant at least one life might be saved? The second amendment, put in place to allow us to protect ourselves against foreign invaders, has allowed a home-grown invasion that is far more deadly that anything our forefathers could have predicted. The idea of freedom has been warped into a fervently held belief that the rights of an individual are always more important than the wellbeing of a community. 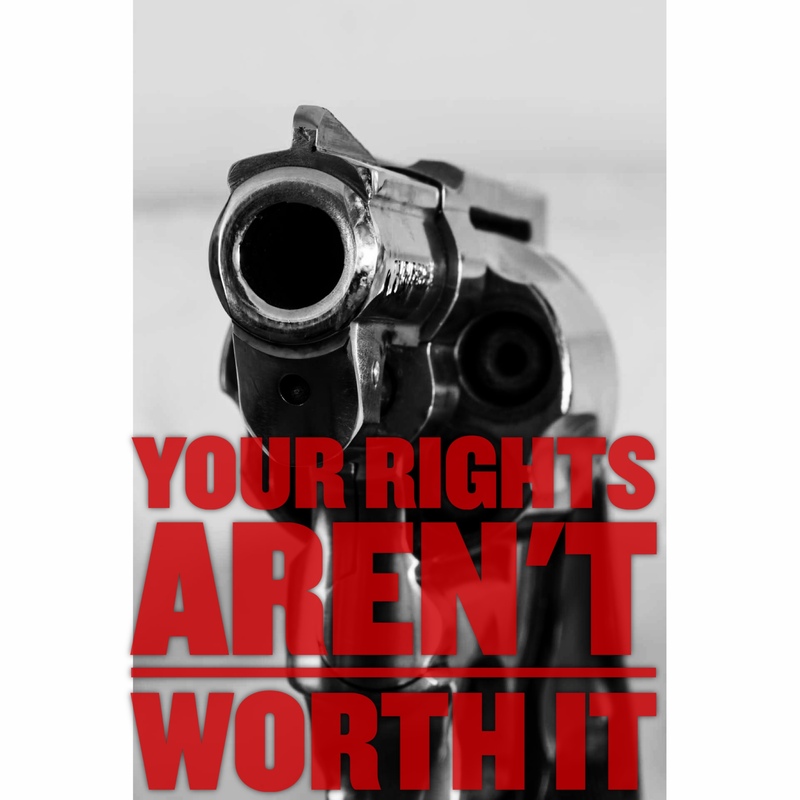 You may have your rights. But they just aren’t worth it.